You navigate the overworld map as a floating flat plane then enter various isometric platforming sections which will include basic combat and maybe some puzzle like elements. Experiments with dithered patterns. 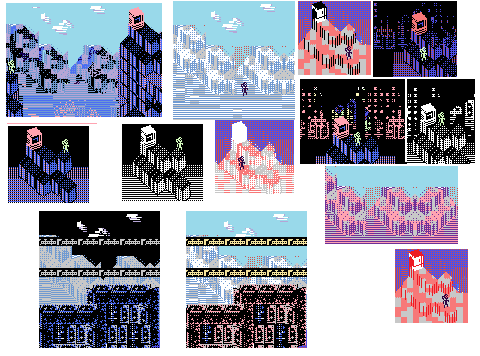 Kept tweaking them in different ways until they began to resemble potential games. 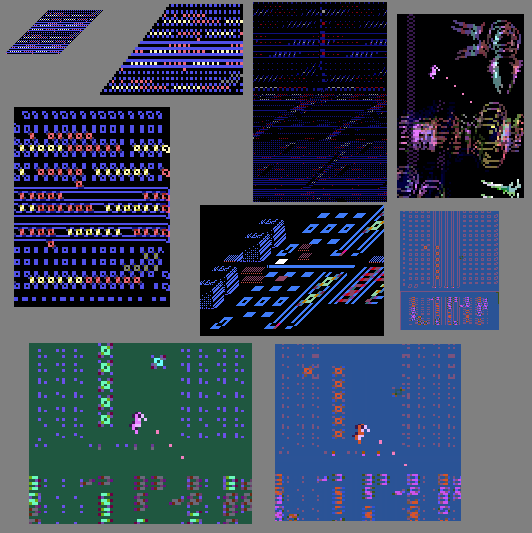 That's how I ended up with the Zaxxon looking overworld map for the game. You are a seahorse larvae born within a nebulous cloud at a sub-spectral level. Corrosion of light and energy has built up over time into a deadly labyrinth of pressurized radiation. Use your magnetic resonance to break through the buildup and to drive away other lifeforms using it's synchronous vibrations. yo this looks really cool! i make experimental game audio (faux 8-bit, sci-fi, ambient, etc) - hit me up if you're looking for help ! This art direction is really refreshing, i'm excited to see where it goes. The narrative description and that last gif remind me of ecco on the genesis. I'm trying to imagine the music that goes with this and it's something synthy and other-wordly. Will you be posting a demo on itch? Thank you! Ecco has always been one of my favorite games, I tend to include influences from it in my projects here and there. I have like a track for each prototype so far, both of them being slowed down snythy tracks. Kind of like the genesis ecco music actually. 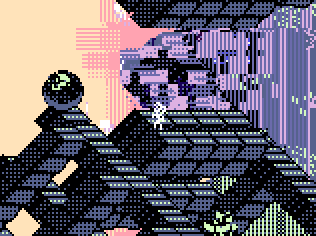 I will be posting a demo on itch at some point but I'm not too sure when that will be.